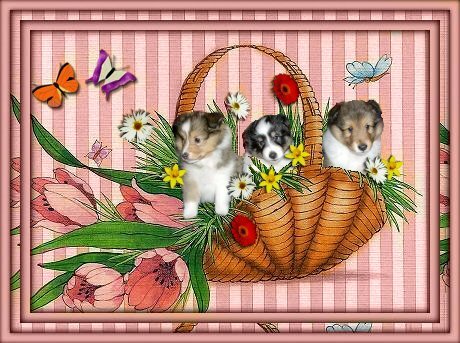 All puppies from the litters below are in their new homes. No pups are available at present. Two sable litters due late January 2006. Pictured below is UKC Ch MistyMt Goodtime Celebration with her second litter sired by Ch Waldenwood Trifecta. 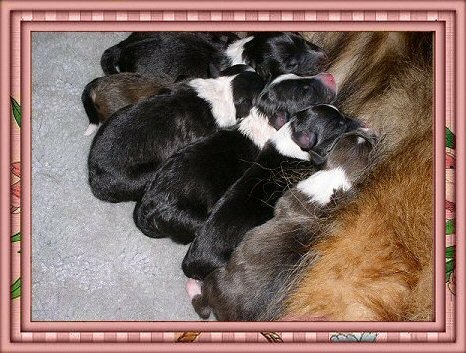 Sally had 3 tri girls,1 tri boy, 1 sable girl and 1 sable boy on 10/20/04. Pictured below is UKC Ch. 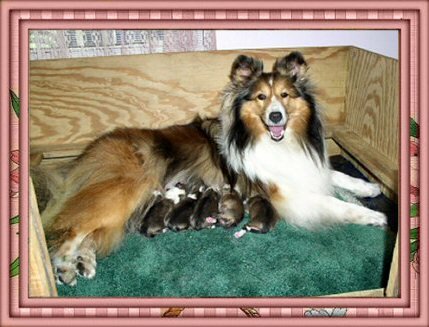 Lorac Windsong with her first litter born April 1,2003 Sired by UKC Grand Ch. Misty Mt Let Goodtimes Begin (12pts 1 major). Proud Windy with 3 week old babies. 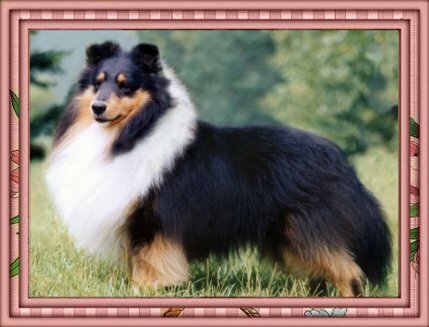 Pictured below is UKC Ch. 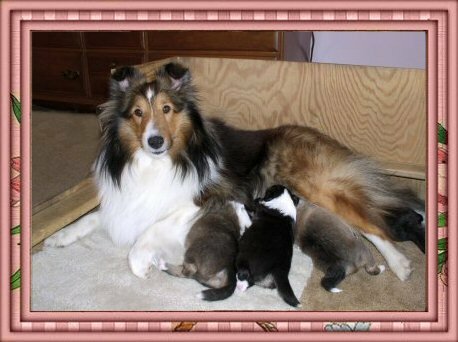 Lorac Windsong with her second litter born May 20, 2004 Sired by Ch. Waldenwood Trifecta. 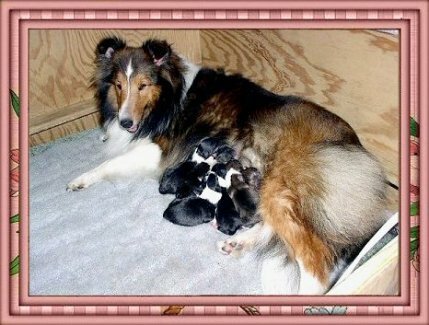 with her first litter born January 22,2004, sired by Ch Waldenwood Trifecta.